Board of Director at 135 West 27th Owners Corp.
As design and managing principal, Marjorie Frank is responsible for principal and senior level leadership including team and project management, programming, feasibility planning, design direction, quality assurance, construction document and construction administration covering the client's needs on all levels with attentive leadership. 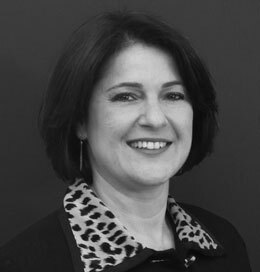 During her years of experience she has directed the space analysis and successful build out of large corporate and financial offices, trading rooms, high end design projects, disaster recovery sites, data centers, retail stores, branch banks, long term health care facilities, public spaces, building public area upgrades and specialty design projects. Marjorie's in-depth knowledge in the execution of all aspects of project planning and implementation, including design, construction, furniture and project management, is appealing to clients. She is considered a trusted advisor and has a following of repeat clients that she has serviced for many years. Her leadership and attention to detail leads the path to successful projects. Recent accomplishments include the 100,000 sf Asset Management Company, nominated as the Best of Year Corporate Office for 2012, various retail branch banks, and the office design and branding for leading organizations. She is a graduate of The State University of New York/Fashion Institute of Technology and worked for prominent architectural and corporate interior design firms before establishing Frank & Marcotullio Design. Her previous experience includes the planning, design and management of construction for corporate offices, banks, advertising agencies, home health care agencies, retail shops, and prominent projects such as Caroline's at the Seaport Comedy Club and Restaurant. Marjorie is a LEED ID+C Accredited Professional and practices sustainability on all projects that she leads.